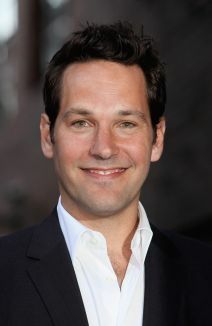 Displaying the type of understated, dark-eyed good looks that make him a natural candidate for an art house pinup, Paul Rudd impressed filmgoers throughout the latter half of the 1990s with his talent for turning in performances marked by thoughtful insight and an unassuming charisma. 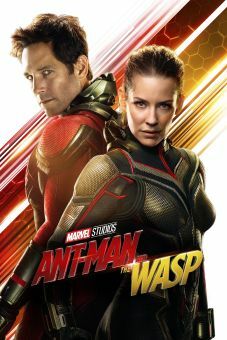 Since his turn as Alicia Silverstone's endearingly self-righteous stepbrother in the 1995 film Clueless, Rudd has enjoyed a sort of low-key fame that has allowed him to branch out both in film and on the stage. The son of British-born parents, Rudd came into the world via Passaic, NJ, on April 6, 1969. Because of his father's job in the airline industry, Rudd and his family traveled a great deal, eventually settling in Kansas City, KS. After graduating from high school, Rudd attended the University of Kansas, where he majored in theater. Following his graduation, he was accepted as a student at the American Academy of Dramatic Arts/West in Los Angeles. His studies there led to a three-month theater workshop at Oxford University's British Drama Academy, where he was tutored by the producer and editor Michael Kahn. During his time in England, Rudd also co-produced the Globe Theatre's Bloody Poetry, in which he starred as the poet Percy Shelley, and then performed the title role of Hamlet, in a production directed by Ben Kingsley. Back in the States, Rudd made his television debut in 1992, in the series Sisters. As Ashley Judd's boyfriend Kirbie Philby, Rudd stayed with the show until 1995. During this time, he also appeared in other television productions, including the short-lived series Wild Oats (1994). In 1995, he made his big-screen debut in Amy Heckerling's Clueless, a film that met with a lavish dose of unanticipated success. Although much of the limelight was reserved for the film's star Alicia Silverstone, Rudd also received a fair amount of press, as well as the adulation of a new generation of fans who warmed to the actor's unconventional appeal. The same year, he played the lead in the sixth Halloween installment, Halloween: The Curse of Michael Myers. The year 1996 proved to be one of hits and misses, as it included his leading part in the straight-to-video Overnight Delivery, co-starring Reese Witherspoon, and the highly successful William Shakespeare's Romeo + Juliet, in which he played against type as the arrogant Dave Paris. The same year, Rudd starred in the obscure but critically praised Canadian independent The Size of Watermelons, before going on to make the equally obscure, critically trashed The Locusts (1997). Theatrically, however, 1997 provided positive experience in the form of a Broadway production of Alfred Uhry's The Last Night of Ballyhoo, in which Rudd had a lead role. There were further positive experiences for Rudd in 1998, as in addition to his principal role in the well-received The Object of My Affection, he starred in the high-profile Lincoln Center production of Twelfth Night, which co-starred Helen Hunt and was directed by Nicholas Hytner, his Object director. Rudd continued his theater work the following year, with Neil LaBute's Bash, an off-Broadway show that also featured Calista Flockhart and Ron Eldard. In addition, he had a starring role in 200 Cigarettes, a film remarkable for both its enviable ensemble cast (including Christina Ricci, Ben Affleck, and Martha Plimpton) and the overwhelmingly desultory reviews it received. However, even the most savage of critics were able to single out Rudd for praise, further reflecting the actor's ability to make a favorable impression in even the most unfavorable of films. After a turn as Nick Caraway in a made-for-television adaptation of F. Scott Fitzgerald's The Great Gatsby, Rudd showed off his ability pull off broad-comedy in the largely improvised 2001 parody film Wet Hot American Summer. He changed gears considerably for his next project, The Shape of Things which saw him reteam with director LaBute. 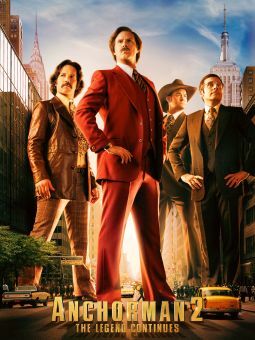 In 2004, Rudd again flexed his skills as a comedic scene-stealer with a supporting role in the 70s-era Will Ferrell vehicle Anchorman: The Legend of Ron Burgundy. Keenly aware that he was very much on to a good thing, Rudd kept the laughs coming in Tennis, Anyone...? and The Baxter before hitting yet another comedy homerun in the 2005 Steve Carrell comedy The 40 Year Old Virgin. The movie moved Rudd several notches up on the radar of comedy fans, and he followed it up with memorable turns in many more laugh-fests over the coming years, including Knocked Up in 2007, Forgetting Sarah Marshall in 2008, Role Models in 2009, and I Love You, Man in 2009. Having made himself a favorite comic actor in the industry, Rudd was soon able to pick and choose increasingly perfect roles for his style, starring in 2010's Dinner for Schmucks with Steve Carrell in 2010, and Our Idiot Brother with Zooey Deschanel in 2011. The following year, on the heels of the big screen comedy Wanderlust and a recurring role on television's Parks and Recreation, Rudd reprised his role from Knocked Up in writer/director Judd Apatow's semi-sequel This is 40. Has said that Steve Martin's comedy albums were his inspiration to become a performer. His breakout film role was Josh, the stepbrother of Alicia Silverstone's character, in the popular comedy Clueless. Starred in both the stage and film productions of The Shape of Things, directed by fellow University of Kansas alum Neil LaBute. Frequently works with Judd Apatow, starring in the filmmaker's hit comedies The 40-Year-Old Virgin (2005) and Knocked Up (2007). Costarred with Julia Roberts in her much-ballyhooed (if critically panned) 2006 Broadway debut, Richard Greenberg's Three Days of Rain.